Last week we mentioned the Blowout Sale briefly, but since the sale is on until supplies last, let's highlight a few of the great products, shall we? 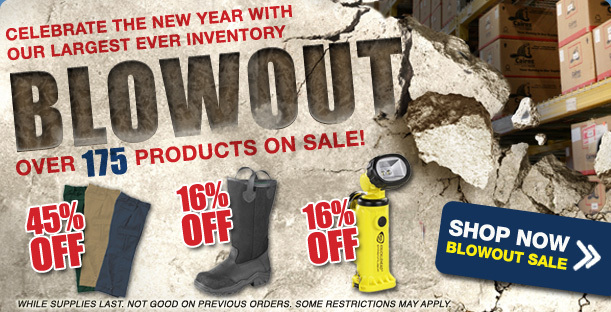 Our Blowout Sale is chocked full of great deals on boots, wildland pants, jackets, cold water immersion suits, Black Helmet Apparel, Leatherhead tools, flashlights, emergency lighting, helmets and more. 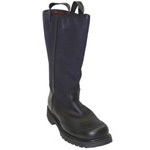 See these boots & other sale boots here. 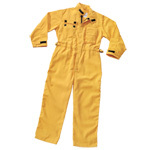 Check out all the sale Wildland gear here. See all sale Cold Water Immersion suits here. 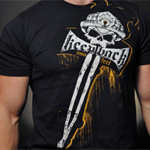 To see all the other great Black Helmet Apparel sales, click here. Check out the tools on blowout sale, here. 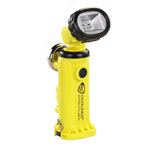 Check out the blowout sale Flashlights here. Check out all sale helmets to find a match for you, here. Make sure to peruse the Blowout Sale TODAY to take advantage of all the great prices and deals!